On April 26, 1986, a major accident, determined to have been a reactivity (power increase) accident, occurred at Unit 4 of the nuclear power station at Chernobyl, Ukraine, in the former USSR. The accident destroyed the reactor and released massive amounts of radioactivity into the environment. After the accident, access to the area in an 18-mile radius around the plant was closed, except for persons requiring official access to the plant and to the immediate area for evaluating and dealing with the consequences of the accident and operation of the undamaged units. The evacuated population numbered approximately 135,000. Pripyat, the town near Chernobyl where most of the workers at the plant lived before the 1986 accident, was evacuated several days after the accident, because of radiological contamination. It was included in the 30 km exclusion zone around the plant and is closed to all but those with authorized access. Thirty-one people died in the Chernobyl accident and its immediate aftermath, most in fighting the fires that ensued. There have been news reports of additional deaths subsequent to the 31, but details are not available. Delayed health effects could be extensive, but estimates vary. To stop the fire and prevent a criticality accident as well as further substantial release of fission products, boron and sand were dumped on the reactor from the air. In addition, the damaged unit was entombed in a concrete "sarcophagus," to limit further release of radioactive material. Control measures to reduce radioactive contamination at and near the plant site included cutting down and burying a pine forest of approximately 1 square mile. The three other units of the four-unit Chernobyl nuclear power station were subsequently restarted. The Soviet nuclear power authorities presented a report on the accident at an International Atomic Energy Agency meeting in Vienna, Austria, in August 1986. The Chernobyl reactors are of the RBMK type. These are high-power, pressure-tube reactors, moderated with graphite and cooled with water. Fourteen RBMKs are still in operation in the former Soviet Union. There are four reactors at Chernobyl: Unit 4 reactor was destroyed in the 1986 accident; Unit 2 reactor was shut down five years later, after a serious turbine building fire; Unit 1 was closed in November 1996. The last operating Chernobyl reactor, Unit 3, was closed December 15 as promised by Ukrainian President Leonid Kuchma. To replace electricity lost from the Chernobyl closure, the European Commission has approved a $585 million loan to help the Ukraine complete building two reactors that will meet western safety standards. The European Bank for Reconstruction and Development is to contribute another $215 million. Since the Chernobyl plant is the primary employer and electrical supplier of Slavutych, a town of more than 28,000 people, closure will likely leave the townwith virtually no employment alternatives and will be dependent on distant and scarce power sources. The NRC's review of the Chernobyl accident was divided into three major phases: (1) determining the facts of the accident, (2) assessing the implications of the accident for safety regulation of commercial nuclear power plants in the United States, and (3) conducting additional specific studies suggested by the assessment. The first phase, fact finding, was a coordinated effort among several U.S. government agencies and some private groups, with the NRC acting as the coordinating agency. The work was completed in January 1987 and reported in NUREG-1250, "Report on the Accident at the Chernobyl Nuclear Power Station." The second phase, the implications study, was reported in NUREG-1251, "Implications of the Accident at Chernobyl for Safety Regulation of Commercial Nuclear Power Plants in the United States," issued in April 1989. The report concluded that no immediate changes were needed in the NRC's regulations regarding the design or operation of U.S. commercial nuclear reactors as a result of lessons learned from Chernobyl. U.S. reactors have different plant designs, broader shutdown margins, robust containment structures, and operational controls to protect them against the combination of lapses that led to the accident at Chernobyl. Although the NRC has always acknowledged the possibility of major accidents, its regulatory requirements provide adequate protection, subject to continuing vigilance, including review of new information that may suggest weaknesses. Assessments in the light of Chernobyl have indicated that the causes of the accident have been adequately dealt with in the design of U.S. commercial reactors. However, the Chernobyl accident emphasized the importance of safe design in both concept and implementation, of operational controls, of competence and motivation of plant management and operating staff to operate in strict compliance with controls, and of backup features of defense-in-depth against potential accidents. Although a large nuclear power plant accident somewhere in the United States is unlikely because of design and operational features, the assessment of Chernobyl raised questions as to whether changes were needed to NRC regulations or guidance regarding reactivity accidents, accidents at low or zero power, operator training, and emergency planning. For the third phase, Chernobyl follow-up studies for U.S. reactors were reported in June 1992 in NUREG-1422, "Summary of Chernobyl Follow-up Research Activities." That report closed out the Chernobyl follow-up research program, though certain issues will continue to receive attention in the normal course of NRC work. For example, the long-term lessons with regard to contamination control -- decontamination, ingestion pathway, relocation of people -- will continue to be followed. The NRC recognizes that the Chernobyl experience should remain a valuable part of the information to be taken into account when dealing with reactor safety issues in the future. Continuing safety concerns and operating problems have led the international community to call for complete and permanent closure of the entire Chernobyl plant. In December 1995, Ukraine signed a memorandum of understanding with the G-7 countries to do this by the year 2000. As part of that memorandum, the G-7 countries agreed to help remediate current risks at Chernobyl, support energy efficiency and help alleviate the socioeconomic impacts of Chernobyl's closure. Other projects include the establishment of a research center in the nearby town of Slavutych and efforts to upgrade the unstable sarcophagus around the destroyed Unit 4 reactor. The U.S. is involved in three of these crucial projects which are discussed below. Shelter Upgrades Among the sarcophagus concerns are the large holes and cracks that have developed, which allow rain and animals to enter and radioactive dust to escape, and the possible collapse of structures, which could cause an additional release of radioactive material, mainly as dust. The Ukrainian authorities have been studying options for dealing with the sarcophagus problem and have been seeking ideas and help from the international community. The U.S. is cooperating with Ukraine, the countries of the G-7 economic group, Russia, and the European Commission in activities to stabilize the shelter over the ruined Unit 4 reactor building, to build a new protective structure, and to remove portions of the existing shelter to ensure its long-term stability. The United States' participation primarily involves cooperative activities to develop designs to correct the shelter's structural problems and to improve worker safety in the shelter. In August 1996, experts began providing technical support to the International Shelter Project (then known at the European Commission Shelter Project). Ukrainian institutes, Chernobyl specialists, and European contractors also provide support. 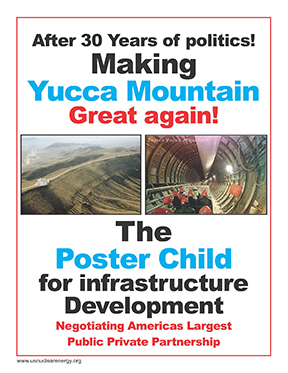 In May 1997, the international team proposed the Shelter Implementation Plan, which details measures to protect workers and the environment, prevent collapse of the shelter, and construct a new shelter to cover the current one. The plan also calls for developing strategies for removing the radioactive mass of fuel from the shelter and placing it in safe confinement. The plan estimates a cost of $758 million to carry out these measures. That estimate does not include the costs of actual fuel removal or the decommissioning and decontamination of the Chernobyl site. In June 1997, Ukraine and the G-7 nations approved the Shelter Implementation Plan. The G-7 nations pledged to contribute $300 million toward the $758 million cost. In November 1997, representatives of more than 40 countries attended a pledging conference in New York City. The countries that participated pledged an additional $37 million for the shelter project. The G-7 selected the European Bank for Reconstruction and Development to manage the project's finances and hire a contractor to manage the shelter work. A joint venture of Bechtel, Battelle and EDF was selected and have had staff on site since May 1998. A second pledging conference for the Chernobyl Shelter Fund was held in Berlin, Germany on July 5, 2000. The conference generated an additional $378 million of commitments to the Fund. As a result of the two conferences, the total contributed to the Fund amounts to $715 million, 93 percent of the overall project cost estimate. This allows the Bank to proceed with the Shelter Implementation Plan. Stabilization of the existing shelter and construction of a new shelter are expected to be completed by 2005, five years after the planned shutdown of the plant. Operational Safety Improvements As cleanup work and renovation activities at the shelter increase, so will worker exposure to radiation and other safety hazards. Ukraine lacks the financial resources to provide the basic equipment and training required for worker safety at the shelter. The United States is working with the world community to provide Ukraine with the necessary equipment and training. Initial efforts are concentrated in radiation dose reduction, nuclear (criticality) safety monitoring, dust suppression, industrial safety enhancement, and emergency preparedness. The U.S. Department of Energy has purchased a variety of equipment to improve worker safety at the shelter. To reduce the radiation dose to workers, dosimetry equipment, dose-tracking software, portable survey instruments, radiation protection clothing, and respirators are being provided. Radiation protection technicians also are receiving expert mentoring and standards-based training. Nuclear criticality monitoring will be improved by installing modern neutron detection equipment inside the shelter. The United States and Ukraine also seek to improve worker safety by developing a telerobotic unit for remote visual evaluation and monitoring of areas inside the shelter that are too radioactive for routine human access. Deactivation, Decontamination, and Decommissioning In May 1995, the U.S. began discussions with Ukraine to establish an international nuclear safety and environmental research center at Slavutich, near Chernobyl, to develop, maintain, and deploy the engineering, scientific, and managerial capabilities necessary to solve nuclear safety, nuclear contamination, and nuclear accident remediation. On April 26, 1996, the tenth anniversary of the Chernobyl accident, Ukrainian President Kuchma formally established the Chernobyl Center for Nuclear Safety, Radioactive Waste and Radio-ecology in the town of Slavutych. The U.S. supports the Center as a focal point for international cooperation in addressing the environmental, health, and safety issues created by the Chernobyl accident. The Center also aims to provide Ukraine with an indigenous, institutional capability to provide technical support to its nuclear power industry, the academic community, and nuclear regulators. Through cooperation with the international community, the Chernobyl Center will facilitate the use and dissemination of internationally accepted nuclear safety practices within Ukraine. International participants at the Center will address issues related to decontamination and decommissioning, spent fuel, and radioactive waste management at Chernobyl and elsewhere in Ukraine. For example, France and Germany are developing a more comprehensive database on the shelter and the 30-kilometer exclusion zone, as well as the ecological effects of radioactive contamination around the plant and in other areas affected by the accident. This study also will examine the health effects of the accident on cleanup workers and the general public, and will include participation from Russia and Belarus. Italy has announced a commitment to provide financial support to new projects at the Center. Collaboration with the United Kingdom and Japan is being explored, and many other countries have expressed interest in participating in future projects. The United States is supporting several activities at the Center. Assessments are being conducted concerning Ukraine's spent fuel management needs; the need for three-dimensional modeling at the shelter; requirements for deactivation, decontamination, and decommissioning of Chernobyl reactor Units 1, 2, and 3; and the need for robotics technologies in shelter cleanup activities. Computer programs and equipment also have been provided so that the Chernobyl staff can access and process specific nuclear data that are available electronically outside Ukraine. These data will be used in safety and radiological assessments at Chernobyl and at other Ukrainian nuclear power plants. A 1995 Memorandum of Understanding signed by the Ukranian Government and the G-7 committed the Ukraine to close Chernobyl by 2000. The Ukrainian Government argued that this is linked with a commitment of G-7 financial support for completing Khmelnitsky 2 and Rovno 4 nuclear power plants. The European Bank for Reconstruction and Development approved a loan in early December 2000.